I’m not one of those stick in the mud cynics who think that games that try to be funny usually fail at it - I honestly laugh at pretty much everything - so when even I say Maize is painfully un-funny, whoo boy. The first-person adventure game / puzzle solving built around the “humor” is solid, if a little too simple and straightforward, but it is severely hindered by the extreme overuse of a repeated joke that wasn’t funny the first time and definitely isn’t funny the 300th time three hours later. It’s a shame, too, because the setting is cool, but Maize just won’t shut up and let you enjoy it. See our full Xbox One Maize review for all of the details. 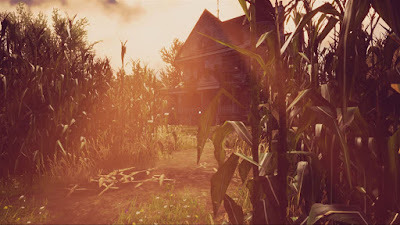 Maize is a mysterious game set in a cornfield. It starts off by briefly showing some creepy walking corn stalks and only proceeds to get weirder from there. Eventually you discover the farm and cornfield full of walking talking corn stalks are all on top of a secret government experimental facility buiried deep underground. You quickly discover the entrance to the underground lab, find the keys to get inside, and can start to learn the secrets behind the strange place you’ve stumbled upon. At first, Maize has a sort of creepy vibe to it. The music when you’re exploring the corn maze sounds like a horror game and the brief glimpses you get of scary anthropomorphic corn walking around make it hard to judge what kind of experience you’re getting yourself into. It turns out, though, that Maize isn’t scary at all. In fact, it wants to be a comedy game. And fails miserably at it. The problem with the humor in Maize is that every single joke and gag revolves around someone calling you or someone else either stupid, idiot, or moron. Over and over and over and over and over again. Somebody call Guinness because there’s a new record for using stupid, idiot, and moron in a videogame. From the Russian teddy bear constantly ranting about “stupid Americans” to the dumb corn with British accents, Maize’s humor is just tiresome. There are some bright spots to the humor, though, such as finding post-it-notes all over the facility from two scientists who hate each other and a lot of the item descriptions can be sort of funny. But it all comes back around to hearing stupid, moron, and idiot constantly and it wears thin extremely quickly. The gameplay underneath the stupid, idiotic, moronic humor isn’t anything particularly special, either, unfortunately. 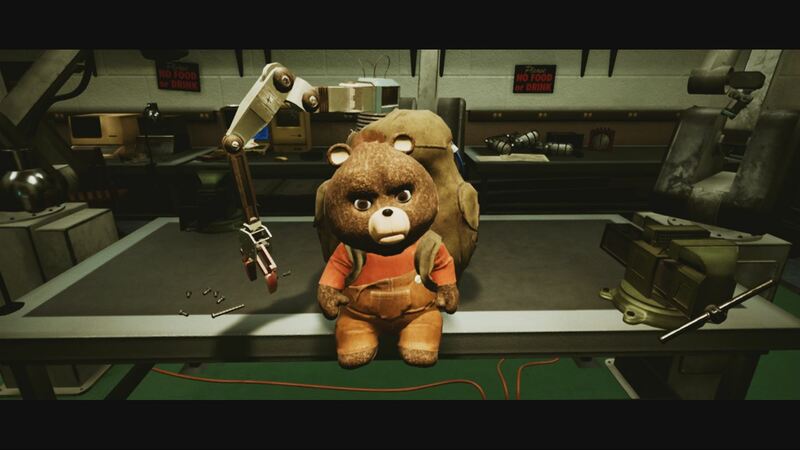 It is a first-person walking simulator-style game where you just sort of wander around and solve puzzles with no enemies or danger. It is extremely simple and linear, though, in that interactive objects and important items are highlighted and you can’t move forward unless you have picked up all of the key items in an area. This is kind of nice, honestly, since it means you won’t have to backtrack and you don’t spend much time being lost as long as you’re very thorough in picking up every item you see, but it also means the game is very simple. The puzzles are also pretty simple in the classic adventure game style where each item can only be used for one specific thing and then it’s gone from your inventory. Puzzles are almost always pretty obvious about what you need to solve them. And even when they aren’t obvious, you just use the tried and true “try every item until something works” method and away you go. Despite being very simple and linear, Maize does manage to be strangely compelling. Some of the puzzles can be interesting and exploring the underground base is quite fun. The way the level design loops around and connects back to previously explored areas (kind of like the first Dark Souls) was really surprising and cool. The story takes a unique twist or two along the way as well, which keeps you playing. I would have to say I enjoyed my time overall with Maize, but it does have loads of issues. The presentation in Maize is kind of hard to pin down. Parts of it look really ugly, such as the corn creatures themselves and most of the above ground level. Other parts, such as the underground lab, look better and occasionally the lighting will hit everything just right and actually look pretty good. Performance is fine overall, but there can be some long load times. The sound is notable for some fairly good ambient music, but the voice acting and bad jokes kind of spoil it. All in all, Maize is pretty disappointing. It is too simple and straightforward and easy as far as the gameplay goes, but I still kind of enjoyed it even knowing it is fairly mediocre compared to other adventure / walking sims of the last few years. The real problem is that its sense of humor absolutely fails and sours the experience and turns an OK game into something that is just grating and a lot harder to recommend. Skip it.